Sporting fans … an international sport! The internationalisation of sport is a wondrous thing, whereby sporting events across the globe bring together an audience of varying cultures and nationalities every year. Like music gigs, sporting occasions cross all cultural borders to fulfil dreams of listening to and watching live performances for all kinds of people, as passions unfold before their very eyes. The love and excitement of witnessing live sport in all its shining glory is something that knows no boundaries. Spectators, whose appetite for sport is joined as one during the course of these competitions, see people for the sporting enthusiasts that they are, no matter their culture or nationality. They triumph and commiserate as one. 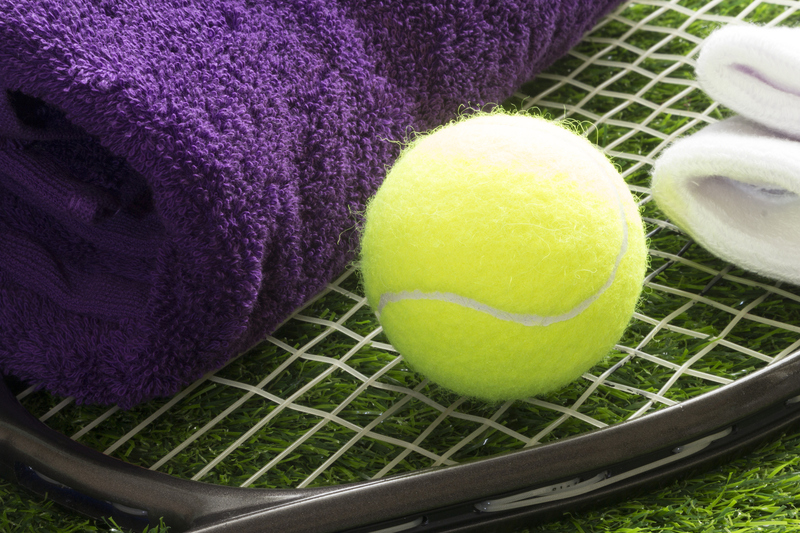 And what better time to unite than a summer packed with all kinds of exciting tournaments, from football (World Cup) to tennis (Wimbledon) to golf (British Open), and so forth. It’s a time of international sporting frenzy! Right now, the world is in the midst of football mania, whereby the quadrennial international football tournament, the FIFA World Cup has taken to the world stage. In its 21st year, this year’s football showdown between 32 international teams is taking place in Russia, whereby thousands of people have come together from all walks of life, crossing cultural and religious boundaries, to enjoy their shared passion of the sport in stadiums across the country. Not only is this international sporting event uniting people as live spectators across the various Russian stadiums, but it is also drawing a global audience of football fans who are celebrating the fervour of the sport with friends, family and strangers alike, in their homes, at venues with outdoor screens and in drinking establishments across the globe. From the joie de vivre of international football to the well-travelled zeal of tennis, the summer is also throwing plenty of aces with its various annual tennis tournaments gracing the world arena. On the back of The French Open, held at Stade Roland-Garros in Paris, France, which saw thousands of tennis devotees attend its grounds, the UK is also celebrating its yearly major Grand Slam tennis championship, Wimbledon, in London. Universally renowned, this competition is recorded as the world’s oldest tennis tournament and is probably considered the most prestigious of its kind worldwide. Opening up its gates this year between July 2nd – 15th, the All England Lawn Tennis and Croquet Club’s grounds welcomes scores of visitors from all over the world, including French, Spanish, Latin American, Australian, Slovakian, German and many more nationalities, where crowds of international spectators come together to share one language, a global love of tennis and in particular, lawn tennis. With an increase on previous years, 2017 greeted 493,928 international and national visitors to Wimbledon over the two-week period, and was documented as being one of the top ten most attended sporting events in the UK. Will this figure take a mighty leap and boost 2018 into the half million stratosphere? What is most likely is that British Wimbledon fans will be on tenterhooks this year to see if Andy Murray will even play in this year’s Wimbledon (due to a hip injury) to regain his former 2016 Championship glory, and bring the crowd to their feet to welcome another Wimbledon victory. Whoever the crowned champion will be in both the women’s and men’s tournaments, this competition will certainly do at least one thing, and that is rejoice in a union of global cultures bonded as one in this spectacular live spectator sport. 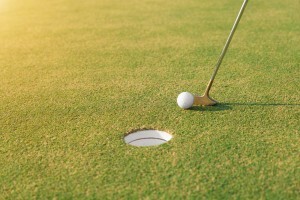 Finally we hit a hole in one to witness another distinguished international sports event, the British Golf Open, which reigned in a massive record-breaking international crowd of 235,000 last year at the 146th Open at Royal Birkdale. Driving a multitude of nationalities further north this year, from the Lancashire coastal area of Southport to the coastal town of Carnoustie in Scotland, this 147th Open taking place from July 19th – 22nd at one of the world’s most challenging courses, will once again gather to speak one international language, the language of golf and revel in the wonders that the universal world of golf offers. Akin to Wimbledon in the ancient sporting competition stakes, The Open is another international event acclaimed for being the world’s oldest golf championship, as well as being crowned the most global of all major-league golf tournaments that offers the world’s most precious of golfing jewels, the illustrious ‘Claret Jug’. Professional golfers from all over the world will gather on this formidable Carnoustie course to bring joy to all those worldwide golfing enthusiasts, who look forward to attending this yearly event with bated breath! The Open’s motto has always been to unite cultures through a passion for golf. This approach is advanced by promoting internationalisation, at the same time as endeavouring to gain a more comprehensive understanding of international opportunities and gear its marketing strategies towards a wider global audience. This is a given when it is one of the world’s leading sporting events bringing in a multinational audience and boosting an area’s tourism several fold. This trio of sports competitions is just a tip of the international sporting iceberg, but if there is one thing that is evident from all these events, it is that sport unites people from all over the world. Sport marries national and international communities from all walks of life, bringing them together under one roof to enjoy their passion of sport.